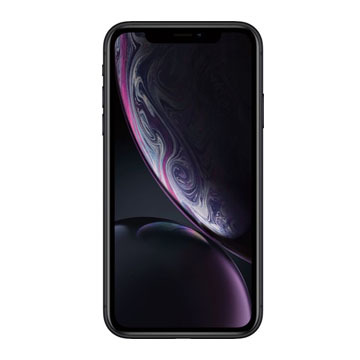 6.1-inch Liquid Retina display (LCD)¹ IP67 water and dust resistant (maximum depth of 1 meter up to 30 minutes)² 12MP camera with OIS and 7MP TrueDepth front camera - Portrait mode, Portrait Lighting, Depth Control, and Smart HDR Face ID for secure authentication and Apple Pay³ A12 Bionic with next-generation Neural Engine Wireless charging - works with Qi chargers⁴ iOS 12 with Memoji, Screen Time, Siri Shortcuts, and Group FaceTime⁵ ¹The display has rounded corners. When measured as a rectangle, the iPhone XR screen is 6.06 inches diagonally. Actual viewable area is less. ²iPhone XR is splash, water, and dust resistant and was tested under controlled laboratory conditions with a rating of IP67 under IEC standard 60529 (maximum depth of 1 meter up to 30 minutes). Splash, water, and dust resistance are not permanent conditions, and resistance might decrease as a result of normal wear. Do not attempt to charge a wet iPhone; refer to the user guide for cleaning and drying instructions. Liquid damage not covered under warranty. ³Apple Pay is not available in all markets. For a list of Apple Pay countries and regions, see www.apple.com/ios/feature-availability/#apple-pay. ⁴Qi wireless chargers sold separately. ⁵Group FaceTime will be available in iOS 12 later this year through a software update.